Three US Senators believe that the Maryland State Police Department entered the names of 53 peaceful protesters into the federal databases that watches terrorist activity, and they are demanding a list of those databases. Benjamin L. Cardin (MD-D), Barbara A. Mikulski (MD-D), and Russell Feingold (WI-D) are the senators involved. 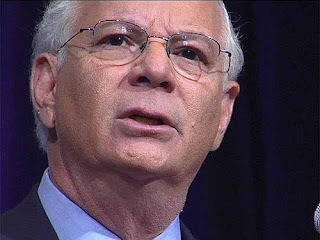 "We want to make sure the individuals that are impacted are cleared," said Cardin. "We're not sure what has been done with the federal data bank and we're not sure what procedures are in place to make sure that this doesn't happen again." Maryland police say they intend to purge their internal files as well as the files from the drug-trafficking database, and are adamant that the names did not reach the no-fly list or the other databases, "at no time was any individual placed on a terrorism watch list," said Maryland State Police spokesman, Greg Shipley. Though citizens may be aware that list such as these exist, they may not realize the far-reaching impact of them. Liberty's Quick Check search actually utilizes many federal terrorist database lists in an effort to reduce workplace violence and crime.